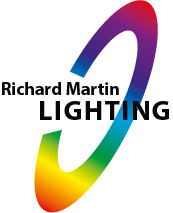 Richard Martin Lighting (RML) supported LD Richard Bowles in lighting one of the biggest nights in the current election campaign as Theresa May and Jeremy Corbyn faced a live audience and Jeremy Paxman in May v Corbyn Live: The Battle for Number 10. Aired live from Sky Studios on Sky News and Channel 4, Jeremy Corbyn and Theresa May separately faced audience questions before being grilled by Jeremy Paxman on key issues such as Brexit, social care and the economy. With the General Election just a week away and the polls narrowing between the two main political parties, the night proved illuminating on both sides. Lighting for May v Corbyn Live was designed by Richard Bowles, supported by Richard Martin Lighting, and a vast rig was employed. 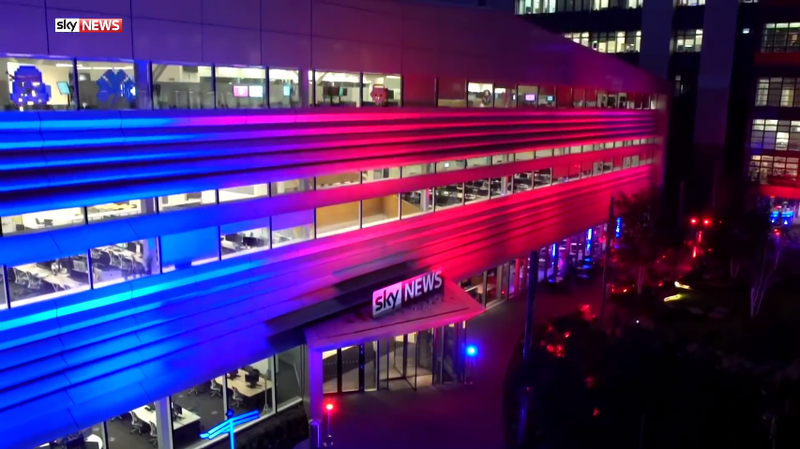 As well as the interior lighting for the debate, Richard also designed the lighting that surrounded the exterior of the studio and an emphasis was placed on LED products for both sections. Inside the studio, the staging was open, letting the party leaders face the audience head on and the lighting succeeded in keeping the leaders open and uncovered while they faced questions from the live audience, and during the interview with Paxman. For the interior lighting, Richard used a variety of lighting with Mac Auras surrounding the stage, joined by GLP X4 units. Accompanying them were VL1000TS, GLP Impression and SL LEDSPOT 300 units. The British weather can never be relied on, especially on a bank holiday so the lighting outside the studio consisted of waterproof fixtures. A crowd of SGM P5s were strategically placed and used to flood the building in hues of red and blue, proving striking as the evening darkened. HO Uplighters and Pixel Par 90 (IP65) units joined the P5s outside as well as Liteware Satellites which accompanied the walkway and greeted both party leaders as they entered the studio – programmed red for Corbyn and blue for May, of course. It was an electrifying night and with just eight days until polling day, May v Corbyn Live: The Battle for Number 10 kick started the final stretch of the campaign for all parties involved. Voting opens at 7am on the 8th June, make sure your voice is heard.